Windows XP: How do I hide folders or files using encrypting file system feature? Thanks for this article!! Using that script (already in my Debian system) I got DVDs to play with no problem! Yep, works with xine very well. Nice :)! It works and its awesome.Thanks a tonne. i could not get it working with totem or xine but finally vlc is working. watching “Celtic Woman” now. thank you so much. got it to work on xine!! I have still got a problem with encrypted dvd’s. I have loaded a new version of libxine, an updated version of VLC and the libdvdcss file but still cannot play encrypted dvd’s. When I installed VLC I had no dependency conflicts. I can play other dvd movies no problem. 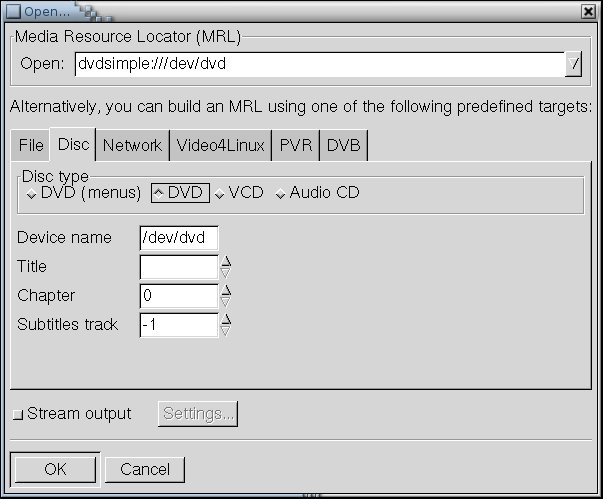 When I insert an encrypted dvd, the VLC panel just disappears with no error message. Any ideas? I also can’t play dvd using xine and latest libdvdcss. people from libdvdcss didn’t implement yet, or it is something more seriouse. I can’t install rpms, but VCL compiling from source was a dissapointment. I had to set the region code of the DVD drive. If the DVD drive has been used on windows before, it’s already set (automatically?). The program “regionset” (http://linvdr.org/projects/regionset/) can be used to view/change the player’s region setting. On Gentoo-Linux it’s installed using ’emerge regionset’. It works fine with debian 4. im using vlc since to wont work with totem. thanks and more power. THANK YOU IT ACTUALLY WORKS! Yeah, this worked nicely, i have read about encrypted dvd’s before.. Worked very nicely: I downloaded the script and executed it. Running kernel 2.6.34-hvw and Debian Sid. because the script didn’t work.